With today’s current housing market flooded, in which homes for sale are priced low, many home buyers are now realizing their dreams of owning their own beach house. Beachfront property like Holden Beach real estate, may be the best decision investment home buyers will ever make. While the beach house itself is already a prized possession, owners of Holden Beach real estate have a scenic view down the long stretch of the beach, and a variety of activities that come with it, to enjoy the whole year. From parasailing, surfing, kayaking or biking and walking the beach front, Holden Beach beguiles not just seasoned locals but everyday visitors as well. 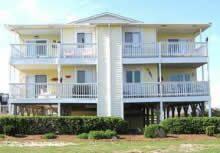 There is oceanfront Holden Beach real estate that is in use as, or could be used as, rental property. You can add yours to the list, never worrying about finding renters as they come year round. 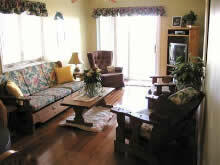 Who wouldn’t be excited to spend a relaxing vacation in a good-looking rental property on coastal North Carolina? Having a beachfront property, you can easily schedule your own vacation, whether it be for a few weeks or months on end. You will never have to think about rental expenses and what to bring for that needed vacation. The beach house is at your disposal, anytime you need it! Beach houses are wonderful retirement homes. Health benefits of living here include the relaxation that comes from living by the ocean, the known healing effects of salt water, and enough sun to boost your immune system and brighten your mood. With the long walks either on the beach or on trails, retirees have a home here at Holden Beach.